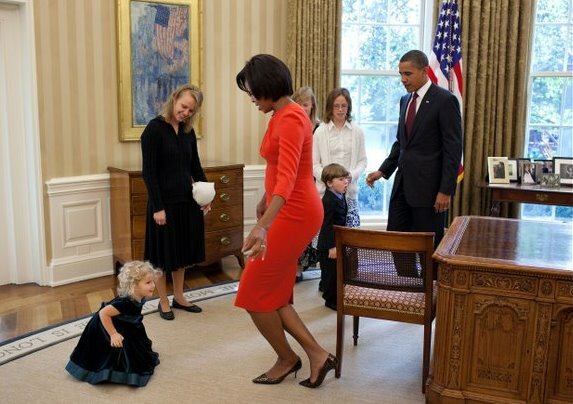 Is Michelle bowing to a child? Oh great, now we find out the Obamas are secretly giving the country away to six year olds!! Fear not, Jim. Quite the contrary. The Obama's are working exceptionally hard to ensure that there is nothing left of America of which to leave to our children. And the Republican Tea Party is working equally hard on giving all the rest of the money to the 1-2% of Americans who already have most of it, thereby ensuring serfdom for the rest of us. Prepare to kiss the rings of the Koch brothers!